Will the outcome justify the delay in elections? In this background the efforts by the government to postpone these elections also have done some good indirectly, irrespective of what the government’s motive was in doing so. Ward system based on the first-past-the-post (FPP) voting and mandatory inclusion of women candidates will certainly help cleansing Sri Lankan politics as it is now the time for the much maligned PR system to go out. Now the necessary amendment bills have been passed by parliament and it is likely that the long delayed local government elections are finally to be held in January. The inordinate delay can never be justified as any willful postponement amounts to denial of peoples’ right to vote. It’s an important constitutional right in a democracy which cannot be removed or restricted. First it got delayed because of the need for delimitation of electoral wards which took a long time and the second delay was due to the need for amending laws to introduce the hybrid system of elections and provisions prescribing minimum representation for women. The delay has often been blamed on the government and the opposition political parties particularly the Joint Opposition has been alleging that the government was delaying it because of its lack of readiness to face an election. 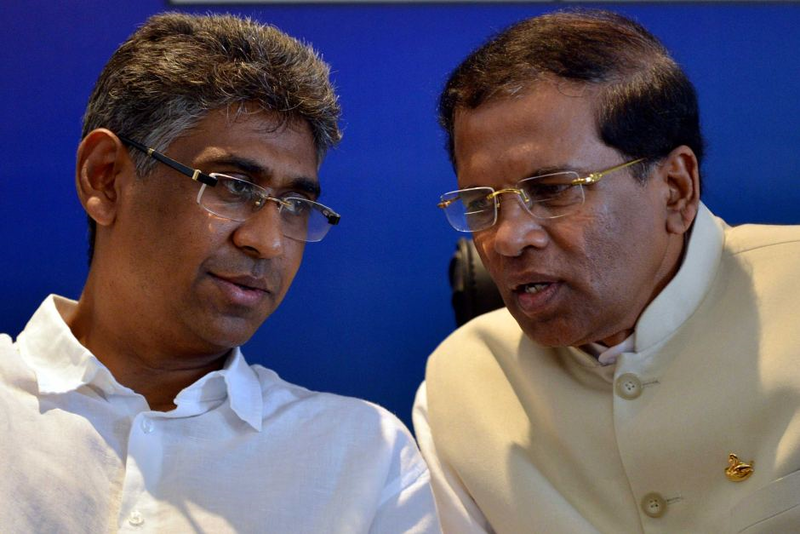 They alleged that the SLFP faction led by President Maithripala Sirisena in particular was behind the delay because of their inability to face elections due to the internal problems in the party. The UNP has been accused of collaborating with the President in this matter. Despite these issues and allegations and counter allegations the most positive development is that much talked about electoral reforms are happening slowly but steadily. Election delay is a dark cloud but the silver lining is that electoral reforms are introduced and for the first time the hybrid system of elections will be introduced in the next local government elections. Having seen the dark side of the preferential voting system across the political spectrum there was general consensus that what is ideal for the country would be a hybrid system of first-past-the-post and PR systems. The ugliest face of the PR system became evident with bitter fighting at election times even among the members of the same party often leading to violence and mayhem. Another negative aspect that has been often raised by the people is the disadvantage of not having a particular member to address the issues of a given locality because under the PR whole district is considered an electorate. The PR system also gives the opportunity for corrupt candidates who are unpopular in their own locality to win votes from the rest of the district by throwing money. Thus, the system facilitates the easy entry of undesirable candidates who have no education but enough funds to spend. These are some of the reasons that triggered the call for abolition of the PR system and reintroduction of the first-past-the-post system of voting. Accordingly Chandrika Kumaratunga had the abolition of the PR system as one of her electoral promises at the 1994 presidential election. However, she never took any interest in electoral reforms during her tenure. This was because by that time most of the politicians had got used to the system and the PR vote enabled a politician to win a seat from the district vote even if voters in his own electorate had rejected him. Then at the 2005 presidential election Mahinda Rajapaksa also promised to abolish the PR system, but he too did not take any constructive action to abolish or reform it during his presidency. Though people did not like the PR system it was often favored by politicians, mostly the corrupt ones who had general support throughout a district or who had sufficient money to throw during election times. The proportional representation was introduced by J R Jayewardene mainly because he knew that even when the UNP was electorally defeated under the first past the post system they often had the majority vote count. So, with the new system in force JRJ thought that his party would never be defeated. One may argue that PR system is a far more democratic system because all minority groups also get their fair share of representation. But the immediate motive behind its introduction would have been the belief that it was electorally more favourable to the UNP although subsequent experience showed that it is not always so. All political parties have looked at the issue in the way that is most advantageous to them. As local government elections became due the Joint Opposition in particular were agitating that elections should be held under the old system without waiting for electoral reforms. That was because most of the former members of the local government bodies were with Mahinda Rajapaksa faction of the SLFP and they seemed to believe that they had the biggest electoral advantage whatever political party they may contest the elections from. Most of those former members also have the financial clout to fight elections and it would have been in their advantage, if the elections were held under the PR system. That is the very reason they have been fighting their tooth and nail for obtaining early elections without waiting for electoral reforms. PR system has been frowned upon and criticized by many as it has often destroyed even the unity among members of the same political party. Its inherent confrontational nature has on many occasions led to infighting, assault and even murder. Despite criticism PR also has its own merits although demerits have outweighed merits according to our own national experience. It gives value to each vote as opposed to winner-takes- all situations often found in the FPP system. That is why it is often preferred by minority groups and small political parties. On the other hand in local elections the ward system will provide the good candidates a better chance of getting elected as election will mostly depend on one’s reputation in his or her locality. The question of throwing money and winning votes will not arise because good men with little or no money will also be able to contest and win since even house to house campaigning is possible in a ward which is generally a small area. While it is morally wrong and undemocratic to restrict the voting rights of the people, a government that came into power on a promise of changing the electoral system had a greater responsibility to hold elections on the modified system. The hybrid system and the inclusion of more women members could be the starting point to reduce corruption which now has taken alarming proportions. The PR system makes it mandatory for anyone contesting even local elections to spend a huge sum of money for the campaign. Thus, the system encourages anyone so elected to earn money through undue means or to give political favoures to supporters who have financed the election campaign enabling them to make more money. Increasing female representation also will indirectly help to bring down corruption as women tend to corrupt less compared to men. They are also likely to spend less for their election campaigns while their presence in the councils will also influence the men who are in majority to behave well. The new system could be disadvantageous to many former local government councilors who have also made money through local level deals and government contracts throughout the years. Some of them have stayed in power making use of the ill-gotten money although they are unpopular in their own localities. Local elections will for the first time give the opportunity for the voters to gain some experience on how the mixed system of elections is going to work, while it will afford the government the opportunity to test the waters and see for themselves the ground realities before they face any national or provincial elections. It will also be interesting to see how the split in the SLFP is going to impact on the electorate, as up to now, what we have seen is only the heated political debate and the disproportionate noise made by some of the vociferous politicians often overplayed by the electronic media. While the ward system will give the people a better opportunity to eliminate those who are corrupt and unsuitable the first opportunity for selecting good men and women lies with the political parties that nominate them. So, it is important to have some guidelines and a proper selection criterion when preparing nomination lists and, if the political parties are genuine about cleansing the system, they should begin the process by nominating the most suitable candidates. ‘Code of Ethics for Nominations’ prepared and presented by PAFFREL and accepted by all political parties can provide some guidelines in this regard. Our political leaders have to admit that if corrupt members are elected a greater part of the responsibility should go to the political parties that nominate them. The voters alone cannot fight corruption if political parties continue to nominate corrupt men as their candidates and ask the people to vote for them.